Lehigh Valley, Pa., July 19, 2018 – Crayola Experience and Discover Lehigh Valley have partnered to create what they hope will be a new annual event: ‘Take Your Parent to Play Day’ on August 1. The Lehigh-Valley-wide effort will feature discount offers from nearly two dozen regional attractions – including Dorney Park & Wildwater Kingdom and Lehigh Valley Zoo – and encourages parents to take a day off from ‘adulting’ and play with their kids. The twist on ‘Take Your Child to Work Day’ was the brain child of a group of American University students who had partnered with the Easton attraction in the spring for a class project. The idea came on the heels of a spring study conducted by OnePoll and Crayola Experience which that found 6 in 10 parents fear they’re not making enough family memories with their children. Armed with these two components, Crayola Experience approached Discover Lehigh Valley with the concept and the two organizations decided to work together to make it a reality. A full list of participating attractions and offers can be found at DiscoverLehighValley.com/TakeYourParentToPlayDay. To learn more about this story, Crayola Experience or to schedule an interview with someone from the Crayola team, please contact Kelly-Anne Suarez at 610-559-6654 or by email at ksuarez@crayola.com. Visual media available upon request. For tickets and info, go to www.crayolaexperience.com. About Crayola Experience: Discover the magic of color at Crayola’s premier, one-of-a-kind family attraction Crayola Experience. Twenty-five hands on activities await families in Easton, Pa. – Crayola’s home since 1903. 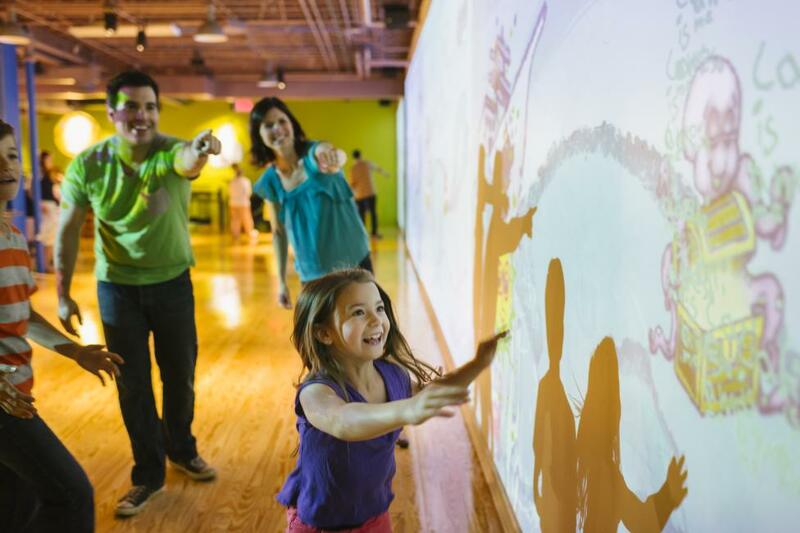 The colorful adventures of Crayola Experience help kids and adults alike explore art and technology, express their creativity and experience color in a whole new way. Also featuring live entertainment. The brand also has locations in Orlando, Fla., Bloomington, Minn. (Mall of America) and Plano, Texas. To learn more, visit CrayolaExperience.com or follow on Facebook at Facebook.com/CrayolaExperience. About Discover Lehigh Valley – Established in 1984, Discover Lehigh Valley® makes Lehigh and Northampton counties a premier destination through marketing and image building that increases the number of visitors, the number of nights they stay and the number of things they do in the region. Discover Lehigh Valley’s official visitor website and blog, DiscoverLehighValley.com and LehighValleyInSite.com keeps locals and visitors abreast of all things happening in the region. Visitors can explore things to do, upcoming events, themed itineraries and hotel packages. Compelling photography and videos, brochures and detailed visitor information make the sites effective trip-planning tools. Along with Discover Lehigh Valley’s social media channels, the online platforms communicate directly with consumers. Follow @LehighValleyPa on Facebook, Instagram, and Twitter. Travelers can also call and stop into one of the many visitor centers for additional information.